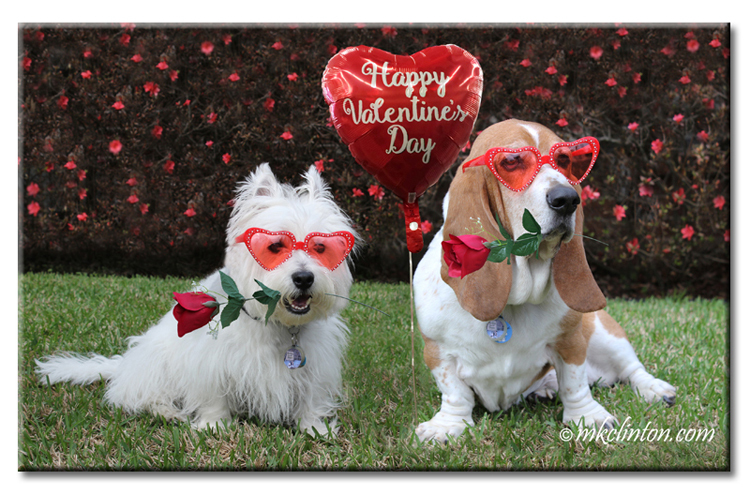 Bentley and Pierre are such romantics that they asked to write their own poetry for Valentine’s Day. If they’d stay on the ground. 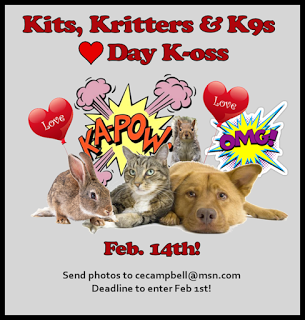 Kits, Kritters & K9's Day K-oss! oh that's so great and you are super talented paw-ets... and I bet Emma jumps with joy that's sure a lot. Happy Valentines Day! We love your poems, guys! Happy Valentine's Day! What great poets you both are!!!! So funny! Happy Valentine's Day! Amazing poetry. Have a wonderful Valentine's Day! SWAK! Beautiful poetry!!! Happy Valentine's day! You look Fabulous... This is gonna be a Special Valentine's Day fur SURE. Oh Bentley, that is the sweetest poem ever! I am not into laser lights, but I know how much Bailie loves hers and it is a ton! Happy Valentine's Day, my love! Happy Valentine's Day! Bet we'd have fun chasin skwerrils together! poetic talents. I know your girlz are swooning! You two looked great over at Madi's PRANCING PAWS STUDIO playing the piano and bass. Love does not need a reason. Pure love will come from the heart without reason and it’ll stay every season. Dogs have pure love. Happy Valentines Day! You two should do a news story on Fiona, Cincinnati Zoo's premature hippo, she is adorable and that she is making it is a miracle. Fabulous poems!!! We'd love to have a squirrel. Awwwwww...what sweet poems for your sweeties!! You boys are poets...and you know it! Happy Valentine's Day! Happy Valentine's Day you two!!! Hope you have been having a fantastic day!!!! BOL!!! OMD, you guys have a smooooooth attitude! I looooooves your poems! I hopes you guys had a most FABulouws Vanentines day! LOVED the poems!! We had fun at the dance with you two and in the skies!! Terrific poems!! You guys are handsome Valentine's. Aww, you guys are SUCH romantics!! I'll bet all the girly dogs are swooning right now. Hope you had a Sweet Valentine's Day!